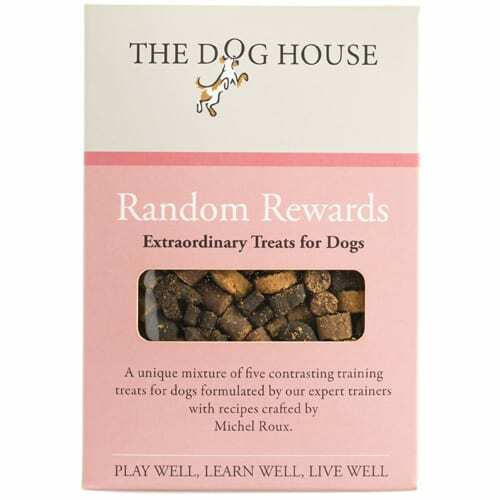 We at The Dog House believe food can be a key resource with which to reward you dog for a job well done. 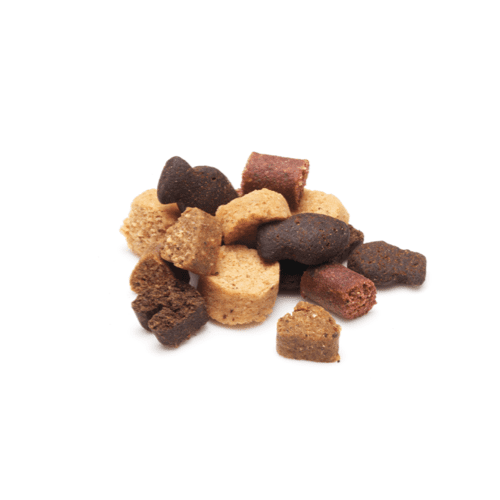 If used in the correct manner, food treats can positively reinforce desirable behaviours and actions. 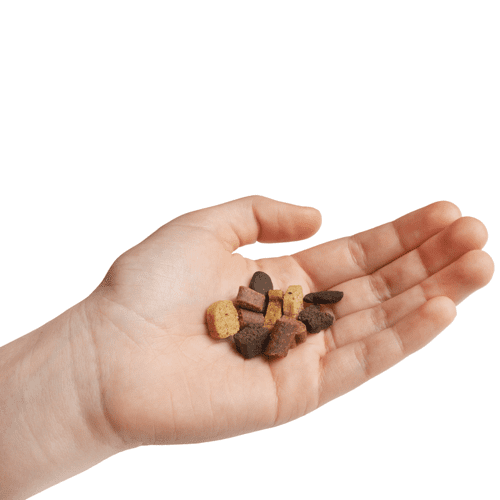 However, loose timing, overfeeding and predictability can lead to a dog losing interest in this valuable resource. 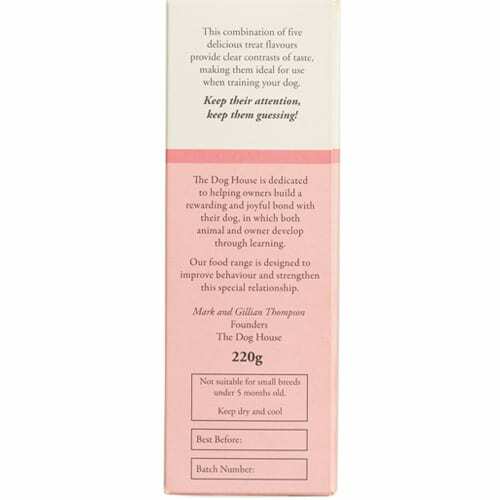 We have created a range of treats that are contrasting in flavour and texture so your dog will never know what is coming next. 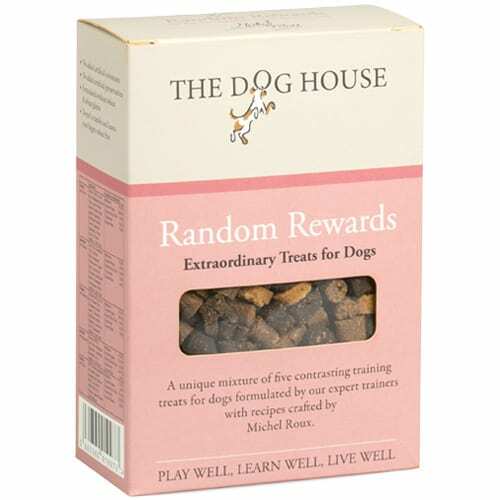 This unpredictability promotes better focus from your dog during training sessions as well as keeping him motivated. 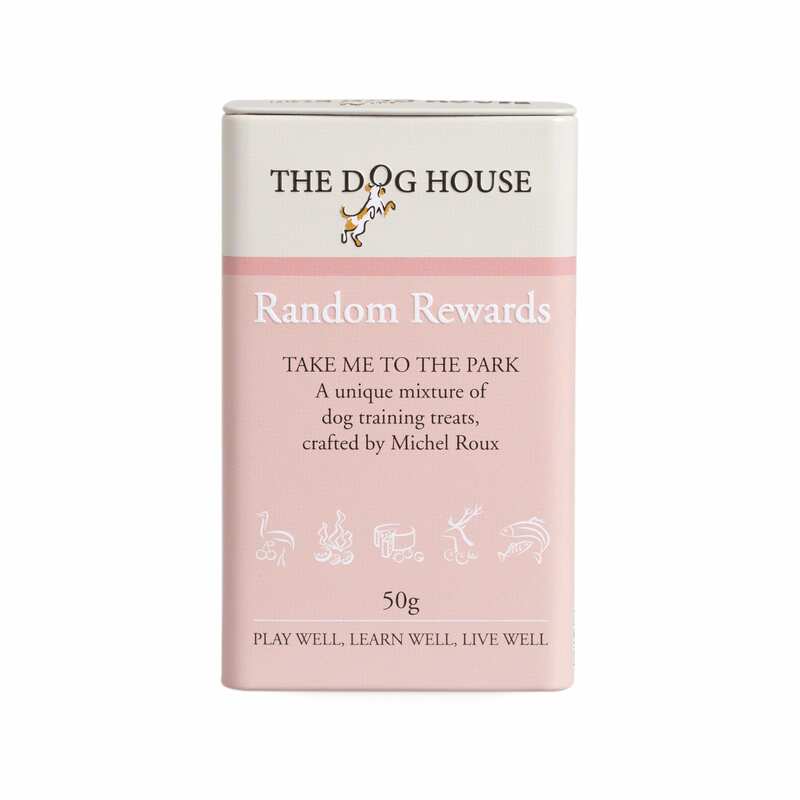 We recommend that all treats are used in combination with a variety of other non-food rewards. For a usage guide, view the video clip. 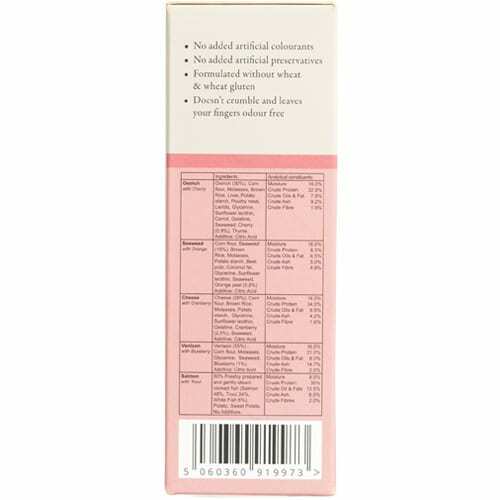 Ostrich (30%), Cornflour, Molasses, Brown rice, Liver, Potato starch, Poultry meal, Lentils, Glycerine, Sunflower lecithin, Carrot, Gelatine, Seaweed, Cherry, Thyme, Citric acid. Cornflour, Seaweed (15%), Brown rice, Molasses, Potato starch, Beet pulp, Coconut fat, Glycerine, Sunflower lecithin, Seaweed, Orange peel, Citric acid. Cheese (28%), Brown rice, Molasses, Potato starch, Glycerine, Sunflower lecithin, Gelatine, Cranberry, Seaweed, Citric acid. Venison (55%), Cornflour, Molasses, Glycerine, Seaweed, Blueberry, Citric acid. Moisture 16%, Crude Protein 22.9%, Crude Oils and Fat 7.8%, Crude Ash 9.2%, Crude Fibre 1.9%. Moisture 16%,Crude Protein 8.3%, Crude Oils and Fat 6.5%,Crude Ash 5% Crude Fibre 4.9%. Moisture 16%, Crude Protein 31%, Crude Oils and Fat 8%, Crude Ash 14.7%, Crude Fibre 2%. Moisture 8.5%, Crude Protein 25.5%, Crude Oils and Fat 15.5%, Crude Ash 10%, Crude Fibre 2%. My insanely fussy puppy rejects every single treat you can think of. I picked these out in desperation thinking maybe she’d accept one of the five flavours. She loves all of them! She’ll do anything for them which is brilliant for us both. Such a relief to find them! 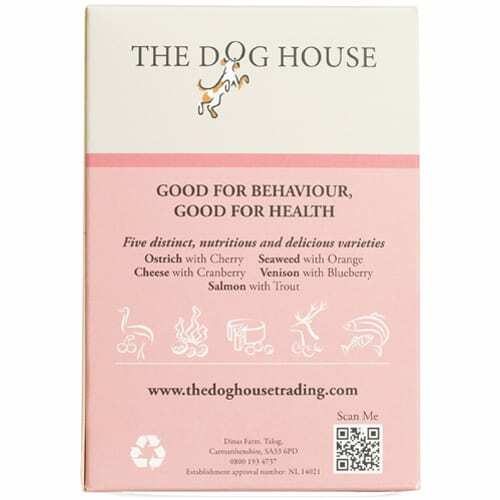 These treats are brilliant – Boris the Airedale loves them. My only tiny criticism is they are so small sometimes I don’t he feels he’s getting a treat if I only give him one of them. If you could look at producing the treats themselves in larger sizes so I can put them in his plastic snake when we leave him that would be grand!